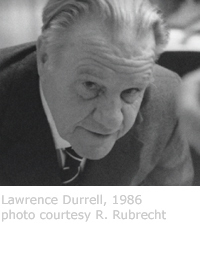 The 2006 conference of the International Lawrence Durrell Society was held at the University of Victoria, Vancouver Island, Canada. It began on Sunday, June 25, 2006 and closed on Thursday, June 29, 2006. A port city with a long literary history and active arts community, Victoria is home to many art galleries, quiet tea shops, a busy harbour area ringed with Victorian buildings, and a vibrant range of ecological diversity inside and outside the city.